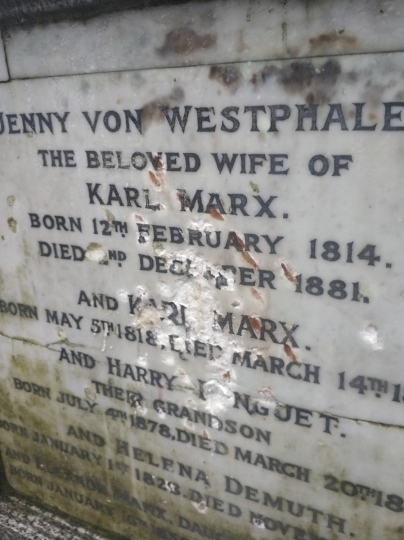 LONDON — Custodians of a London cemetery say the tombstone of Karl Marx has been damaged in a hammer attack. 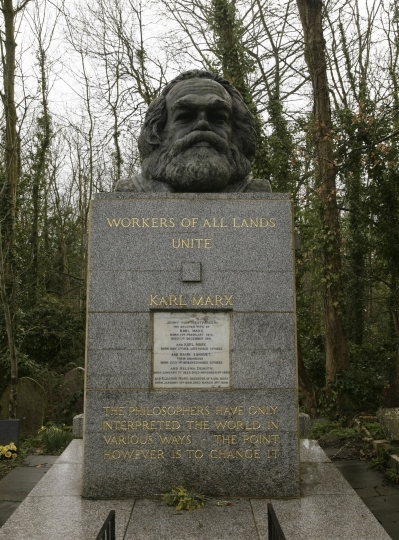 The German philosopher and economist was buried in Highgate Cemetery after his death in 1883, and his grave was later topped with a large bronze bust atop a base bearing the words "Workers of all lands unite." The Friends of Highgate Cemetery Trust say an inscribed marble plaque on the monument suffered a "deliberate and sustained attack." Trust chief executive Ian Dungavell said the monument "will never be the same again, and will bear those battle scars for the future." Police said Tuesday they had investigated but closed the case without making any arrests. The grave of Marx, whose works include "The Communist Manifesto" and "Capital," draws tourists from around the world.